Fifty people were killed when a gunsmith opened fire in two mosques last week. The authorities have accused Brenton Tarrant, a 28-year-old Australian man, of murdering the incident. More fees are expected. Police Commissioner Mike Bush said on Wednesday that the authorities "absolutely" believe they stopped suspiciously "on their way to an additional attack". 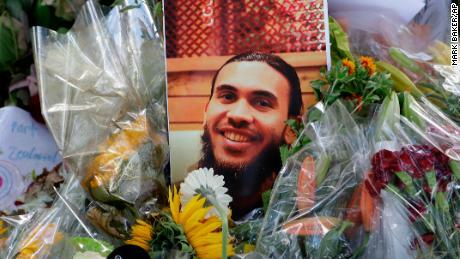 "Life was scared," he added, but refused to go into detail to not "traumatize others." 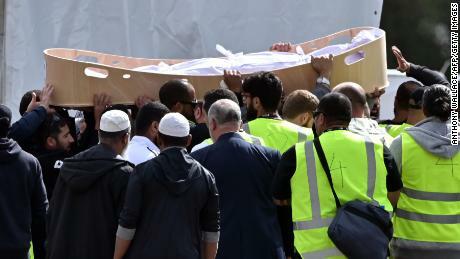 The first funeral was held on Wednesday for Khaled Mustafa, 44, and his son, 15-year-old Hamza. Hundreds of people were in solemn silence at Memorial Park Cemetery, where graves had been dug to bury dozens of victims. victims have been identified and returned to families. The majority of the identifiers would be completed by the end of the day on Wednesday, he said, although some are expected to take longer. "Why don't I know what you do to identify the bodies?" While many family members have expressed understanding for the time taken to receive the victim's organs for burial, others have expressed frustration. Islamic funerals are usually held as soon as possible after death. Mohamed Safi, 23, lost his father in the attack at the Al Noor Mosque. He said the authorities have not explained their process of identifying their father's body and have been slow to offer details. "They offer nothing, they say," We do our routines and processes. "Why don't I know what you're doing to identify the bodies?" Safi told CNN. "They know our Islam is about patience. They are testing our patience right now," said Safi. At the same press conference, Bush said the identification process was "an absolute priority for family reasons, compassionate reasons, and for cultural reasons". 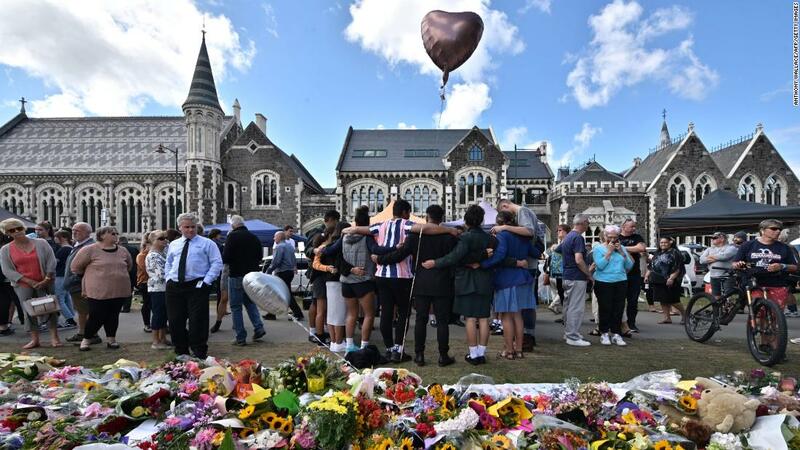 New Zealand Prime Minister Jacinda Ardern returned to Christchurch on Wednesday to offer comfort to those affected by the tragedy. 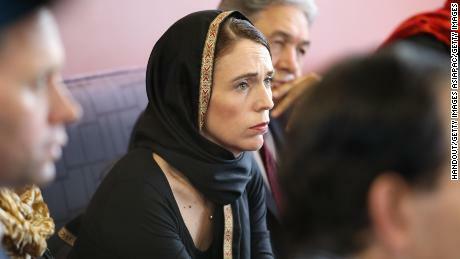 On Tuesday, Ardern had used his first appearance in Parliament since the attack to commend the "extraordinary fashion" demonstrated by mosque churches and police during one of the country's "darkest days". She also noted that "it has rightly been questions about how this could have happened here. In a place that prides itself on being open, peaceful, different and it is anger that it has happened here." Then The massacre Ardern has spoken with emotions and empathy, calm families and update the public at the latest during the investigation. It has been the 37-year-old face – and not the suspicious shooter – who has come to dominate the media coverage. During his Tuesday address, Ardern promised never to use the alleged shooter's name: "He's a terrorist, he's a criminal, he's an extremist, but when I speak, he'll be nameless and others I'll bend you: Speak. about the names of those who were lost rather than the name of the man who took them. 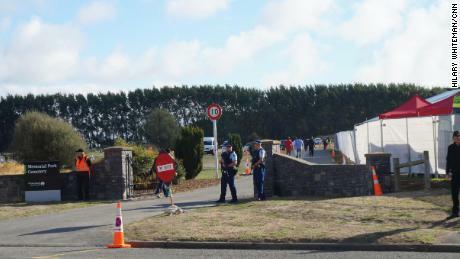 He may have sought fame, but we in New Zealand will not give him anything – not even his name. "